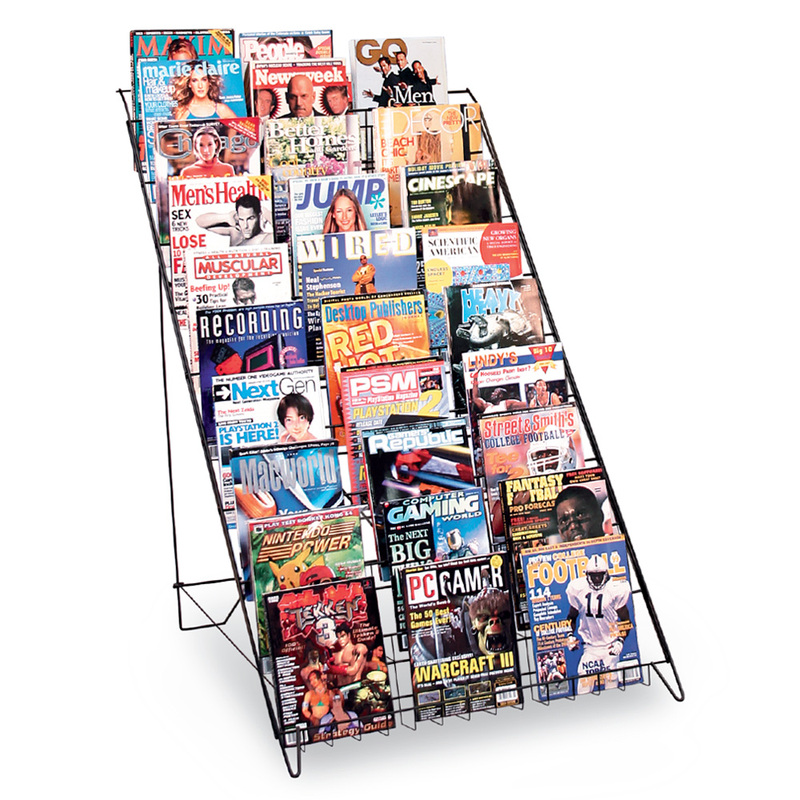 Our portable book display holds up to 30 magazine titles. Sturdy wire book/magazine display rack has 10 shelves 2 3/4 in. deep. Each 29 inch wide shelf has a 4 in. lip to keep products from falling. Folds for easy storage and portability. Add a sign holder to get your customers attention, search item 2216.